Elisha Athota, a construction worker, opened the front door of his house in Vanukuru in central India. Outside stood a man and a woman Elisha had never seen before. Elisha explained to the parents that he was a Seventh-day Adventist and only wanted to marry a woman who kept his faith. The parents assured him that their daughter would become an Adventist. Elisha and Solomi liked each other, and after a while the two were married. Her husband sank into discouragement. He didn’t know what to do. Seeing his sadness, Solomi began to pray that God to reveal to her whether Saturday or Sunday was the true Sabbath. Five months after the wedding, Solomi embraced the Sabbath. Today she and her husband are full-time Bible workers. Elisha said he now realizes the importance of following the advice of Paul in 2 Corinthians 6:14: “Do not be unequally yoked together with unbelievers” (NKJV). But if a mistake is made or something goes wrong, don’t lose hope, he said. “I really regretted my marriage decision at first, but now I am very happy,” he said. Solomi said she also was filled with joy. “We are most happy about one thing: We are now able to teach the Sabbath truth to many people,” she said. 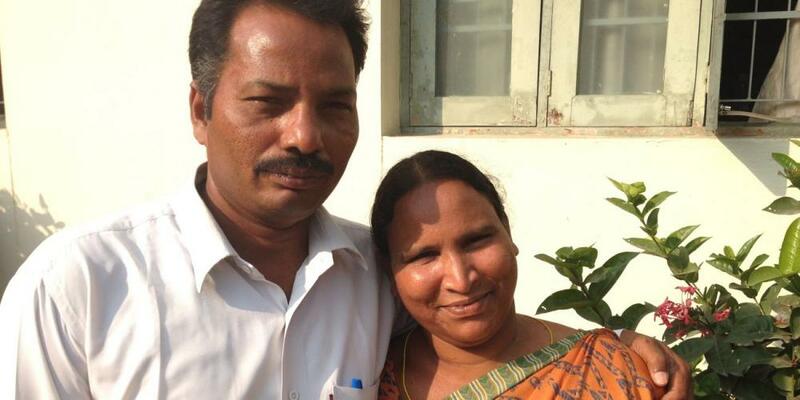 Part of the Thirteenth Sabbath Offering in third quarter 2017 will help finish building a training and conference center on the compound of the South Andhra Section near Elisha and Solomi Athota’s home in central India. This will be the first major training and conference center in the entire Southern Asia Division. It be available for use by pastors and lay workers such as Elisha and Solomi from around the division. Please remember this project and the Adventist work in central India in your prayers and with your Sabbath School mission offerings. Mission Emphasis Spares Adventist Church in Conflict-Torn East Ukraine Focusing on community outreach rather than politics is credited with keeping the church alive.